Home » Commercial investors » How Can Commercial Real Estate Investors Protect Their Property in the Digital Age? 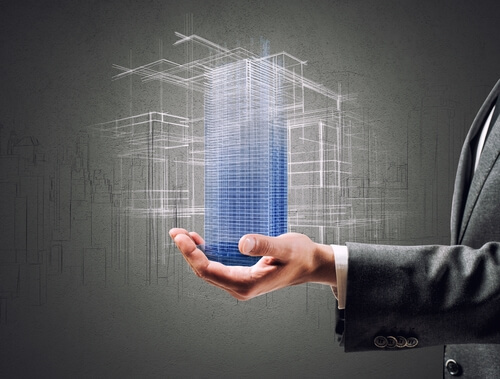 How Can Commercial Real Estate Investors Protect Their Property in the Digital Age? Many buildings are going to shared workspaces in which various businesses operate under the same roof. They often have large open areas where people can work independently or collaborate. They then share other spaces as needed, such as conference rooms. This setup is great for start-up companies, entrepreneurs or others who want to split the costs associated with running a business. If you try to cater to only one type of tenant, you run the risks inherently attached to that business. If there is a decline in that industry, you will similarly experience the decline. However, if you leave your building open for multiple uses that are not affected by the increased online shopping or digital offerings, you can safeguard yourself. It is important that you stay relevant as the conditions and market change. Look to your area market and market conditions for current trends of retail and other establishments. You may need to make changes to your physical infrastructure and be more flexible with your commercial leases to attract tenants who can work in the digital age. Rather than focusing on retail, consider changing or diversifying your commercial portfolio. Consider moving to multifamily properties. People will always need a place to live. Another option is to invest in industrial properties that may provide greater security because all goods will have to be produced, shipped and stored somewhere. If you currently rent out space to small retailers, you might want to change your tenant base to companies that do not actively compete against conglomerates like Amazon. Some types of businesses will still need brick and mortar locations, such as gyms, restaurants, hair salons and entertainment venues. If you rent out office space, try to stick to businesses that provide services that cannot be executed via remote work or work from home options. It is possible for retail outlets to offer an experience that appeals to customers and makes them prefer the in-person experience over the isolation of purchasing goods online. You may want to establish a building brand or other indicators that allow you to establish a cohesive environment and community. Commercial tenants may enjoy being part of a larger community. A commercial broker like Arthur Nachman can give you more ideas on safeguarding your commercial investment.